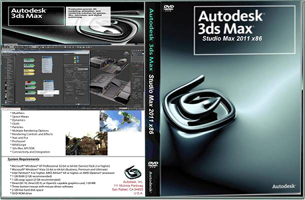 Our instructor led video based training course will teach you about the features and functions of Autodesk 3ds Max and Autodesk 3DS Max Design. Follow the workflow of producing 3D animations, cover pre-production planning, apply materials and light scenes, animate cameras and objects, assemble short sequences, utilize Lighting Analysis tools in Design, and avoid long render times. You will learn about integrated 3D modeling, animation, rendering, and compositing that enable artists and designers to more quickly ramp up for production. The two versions share core technology and features, but offer differentiated experiences and specialized toolsets for game developers, visual effects artists, and graphic designers on the one hand, and architects, designers, engineers, and visualization specialists on the other. Our step by step approach covers from the beginner topics to the advance elements. Whether you're a beginner looking for 3D basics or a full-fledged animator seeking creative new ways to catch everyone's attention, this training is for you.